MFactory Metal Plate Limited Slip Differential. Gain a prominent advantage over the competition with this LSD. Through smooth and consistent distribution of power to the wheels the LSD puts power-to-the-ground and maximises your vehicles traction where conventional Torsen LSD's fail. Available in 1.0 way (acceleration only), 1.5 way (acceleration/deceleration) and 2.0 way (acceleration/deceleration). All MFactory metal plate LSD's are set at 60% lock for street/track usage. Made from imported Japanese steel these diffs are 'forged' and 'cryo-tempered' for unsurpassed toughness. 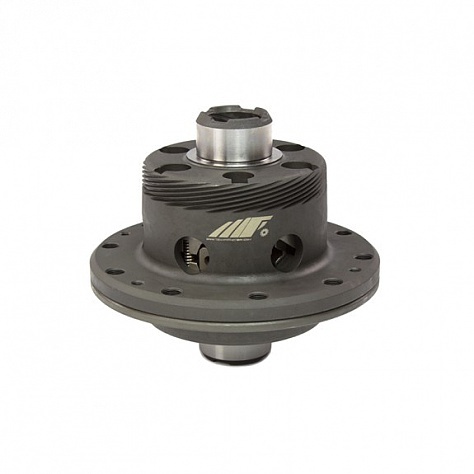 They are designed to withstand the extreme shock loads of competition-level drag racing. Advanced gear geometry designed using industry-leading software puts more power to the ground and the highest quality Brighton-Best hardware is used. Coil spring preload system ensures minimal powerloss and maximum response. Lower initial pressure ensures maximum durability and chatter-free operation. Fully re-buildable with adjustable lock (60-100%) and option of different cam type.